Are you looking for a fun way to add movement and physical activity with a holiday theme? Need Christmas gross motor ideas? How about dancing like elves? The Jingle Jive is a fun game to create dancing routines during the holidays. The Jingle Jive is a great way to move and work on motor planning at the same time. The even better news is that this game is available for free from Pink Oatmeal! 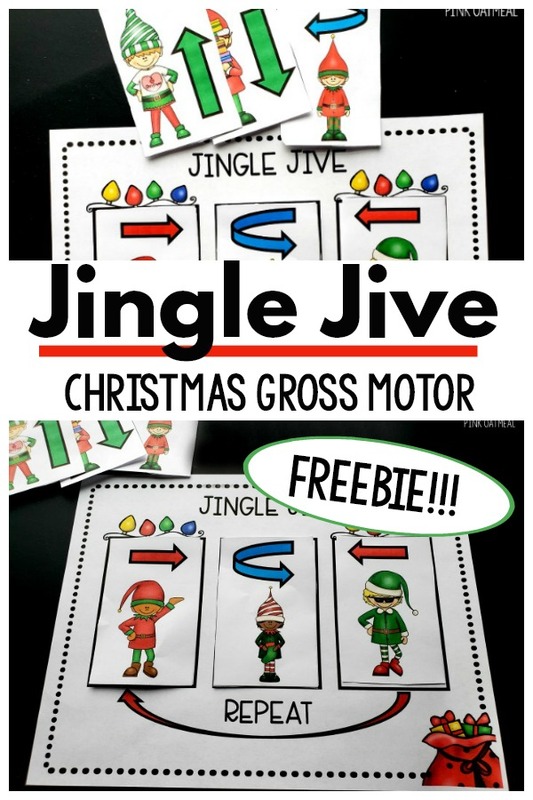 The jingle jive is all about working on motor planning and moving for a fun Christmas gross motor activity. 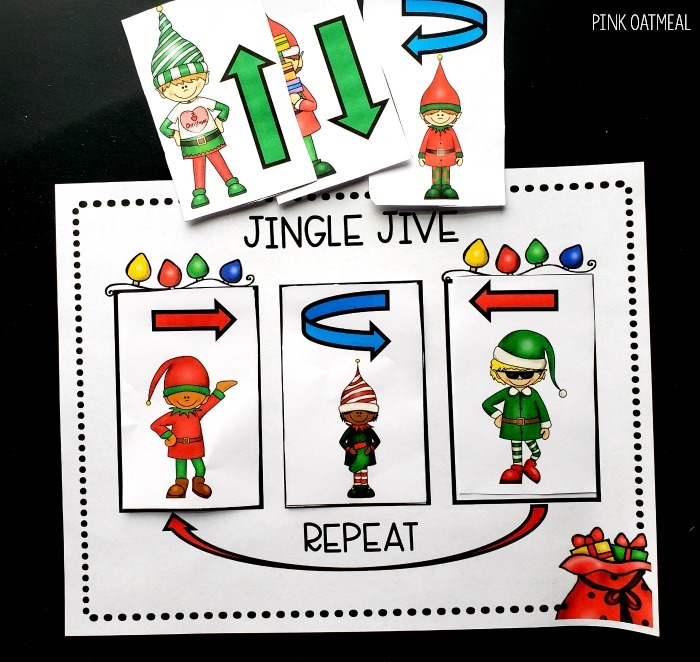 Included in this printable is the Jingle Jive game board and elf movement cards. There are 6 different movement cards. The moves included step right, step left, step forward, step backward, turn right, turn left, and two blank cards to add any moves you would like. The Jingle Jive game board includes 3 different slots where cards can be placed and movement patterns can be performed. Let your kids place whatever cards they would like in each slot and perform their jive. This activity can be done in two different ways. 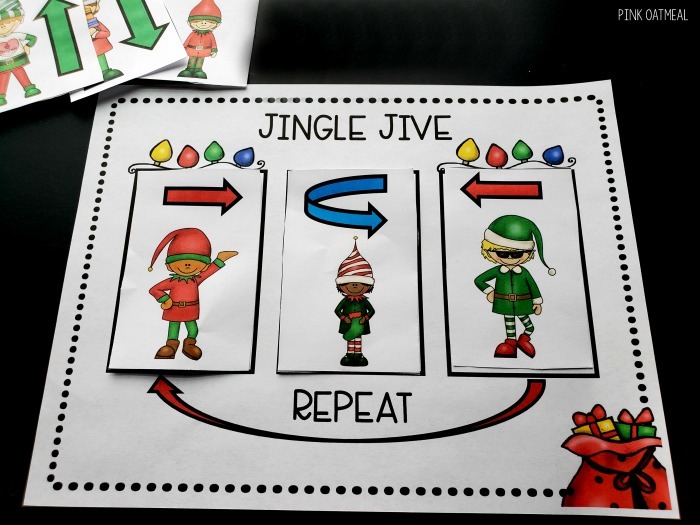 Cut and laminate cards and place them on Jingle Jive board in any order. Do the moves in the order they are placed on the board and repeat. Use this as an opportunity to work on scissors practice with kids and have the kids cut out elf cards. Place on the board and perform the moves and repeat. Get this activity in the Freebie Library today! Have fun with this Christmas gross motor game!